Some patients at Jordan Valley Medical Center, West Valley Campus need outpatient assistance while getting back to their normal activities after an illness or injury. Therefore, we need therapists in specialties ranging from occupational to physical, respiratory to speech and even hand therapists. We offer all of our therapists the valued asset of having variety in their work. One day you could be working in pediatrics and the next day work with an athlete or in geriatrics. 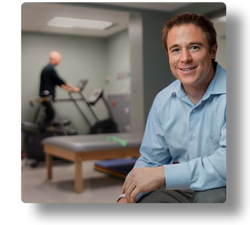 Our therapists are an integral part of the overall care of a patient. They are included when it comes to making decisions about patient care. Since we value our therapists so much, we offer educational reimbursements to ensure that our therapists stay on top of their game.